Museum of Contemporary Art Santa Barbara is pleased to present Lara Favaretto, featuring works spanning Turin, Italy-based artist Lara Favaretto’s more than twenty-year career, and presented in collaboration with Rennie Collection, Vancouver, Canada. The exhibition marks Favaretto’s solo U.S. West Coast institutional debut. Lara Favaretto is curated by Abaseh Mirvali, Executive Director & Chief Curator. Support for Lara Favaretto provided by the Alexander Family, Elisabeth & Greg Fowler, John Green, Hayes Commercial Group, Montecito Bank & Trust, Paseo Nuevo Shops & Restaurants, Presqu’ile Winery, MCASB Board of Trustees, and MCASB Visionaries. 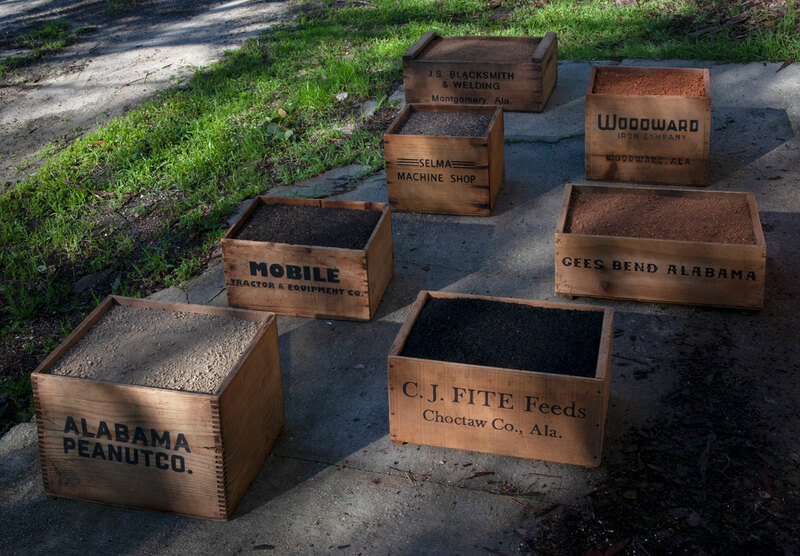 Museum of Contemporary Art Santa Barbara MCASB is pleased to announce the upcoming solo exhibition of independent American filmmaker James Benning, James Benning: Quilts, Cigarettes & Dirt (Portraits of America). For more than 40 years exploring the medium, Benning has engaged with history, memory, and documentary traditions, often encompassing a rigorous treatment of the American landscape. Benning’s exhibition at MCASB will present some of the filmmaker’s most recent works, including the films Twenty Cigarettes, and READERS, put in dialogue with a selection of photographs and objects from his Portraits series. James Benning (b.1942, Milwaukee, Wisconsin, USA) lives and works in Val Verde, California, USA. Benning is a major figure of American cinema. In the late 1960s, he directed his first short films in the experimental-cinema tradition, retaining its formal rigor and taste for conceptual constraints while pioneering the notion of “figurative narrative.” His films rest on an experience of time and perception and its relationship to space. They also approach the notion of place from autobiographical, cultural, political, and historical viewpoints. In 2014, his film, 13 Lakes, was added to the National Film Registry. Benning has been teaching at the California Institute of the Arts since 1987. This entry was posted on April 1, 2019 at 12:00 pm and is filed under Cultural, Education, Entertainment, Events, Local, News. You can follow any responses to this entry through the RSS 2.0 feed.